Every year Canada welcomes around thousands of people to its country, as Canada remains among popular tourist destinations for the people all around the world. Tourists can take a look and enjoy the splendid natural attractions, stunning countryside, beautiful provinces covered with snow, scenery, historical monuments, cosmopolitan cities and much more. 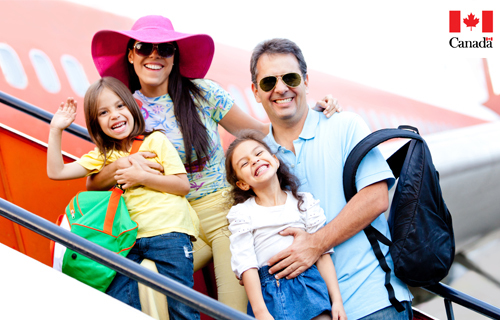 The simplest way to visit Canada is on its visitor visa, temporary resident visa and eTA. Canada visitor visa is granted to those foreign nationals who legally enter the country on temporary basis for purpose like visit, work or study. After submitting the application for visitor visa, the purpose of the visit is being verified by the Canadian immigration authorities. The visitor should leave the country within the validity period of the visa. After the visa is granted to the applicant, they can visit Canada. This Canada visitor visa is granted for single or multiple entries. Six months visa is granted for single entry and five years of visa is granted for multiple entries. The applicants can also apply for the temporary resident visa to visit Canada for a temporary period of time. This visa is granted to the applicant only when they had satisfied the needs for entering in Canada as a visitor. This Temporary resident visa might be granted for single or multiple entries. The travelers are granted six months of visa. There are many types of temporary resident visas that are granted based on the applicant’s purpose like for visit, study and work. Individuals of few countries are exempted from taking the visitor, tourist or temporary resident visa, for certain individuals, Canadian government has started issuing electronic Travel Authorization (eTAs). They need to get the eTA prior to visiting Canada.